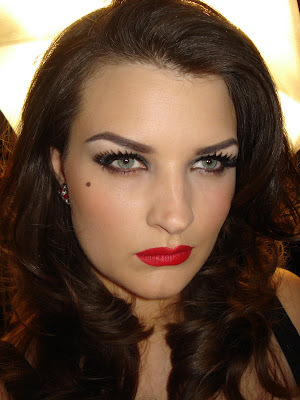 Charlotte finished her make-up course in stunning fashion. 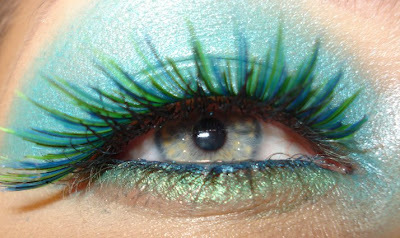 Below you can see some close ups of her creations. Personally I love the 'Awesome Aqua'. Charlotte can now be found making up at IMPACT Hair & Beauty on St Andrews Street, Norwich. 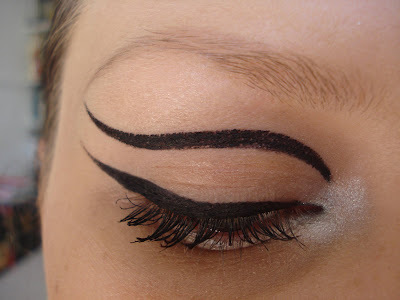 Why bother blending a trillion eyeshadows when one looks so good and takes quarter of the time. See the products of the week video... uploading tomorrow. Swinging Carnaby goes back to the sixties. 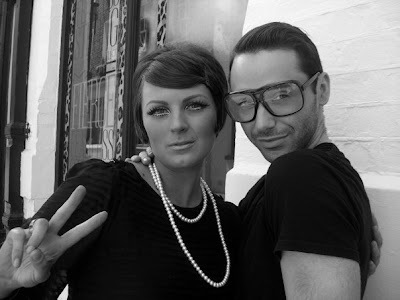 The staff from the MAC Pro store recently went back in time for a sixties event on Newburgh Street. Nicola and Damian were 'working' the look. 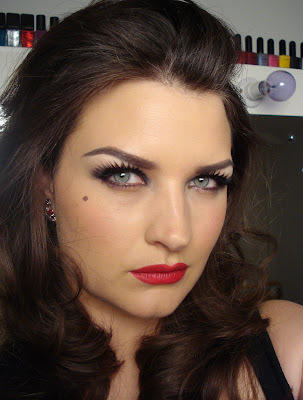 You all know I love a red lip and a dark eye, well my most recent tutorial included both as well as a full coverage base, a strong angular brow and a whacking set of false lashes. It is certainly not for the faint hearted. 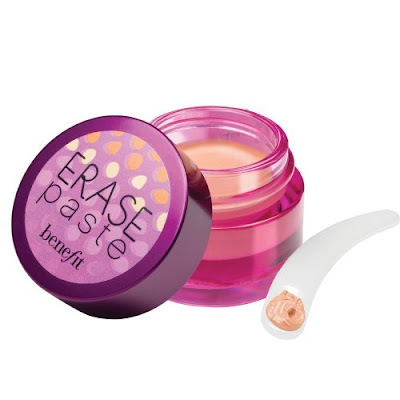 I was incredibly impressed by the Benefit Erase Paste used in conjunction with the Benefit Powderflage. If you suffer from dark circles like me then beat a path to your local counter. 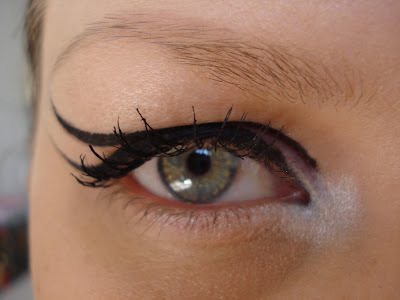 A/W 09/10 Moschino facelift liner. Damn, this is one bloody hard look to get even. I spent 35 minutes getting my lines clean and symmetrical! 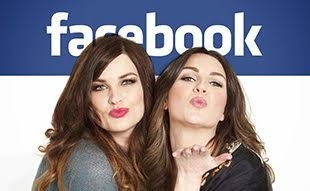 If you have seen our latest video you will know that we went backstage at the Clothes Show Live this weekend. We were invited to film by Chief Make-up Artist Rachel Wood. The fashion theatre catwalk show was sponsored by Benefit Cosmetics and the hair was provided by Toni & Guy. Tucked away in the corner was make-up artist Gary Cockerill working his magic on the tiny and quiet (she actually was) Katie Price a.k.a Jordan. I exchanged smiles with Katie but was reluctant to film her as she has had one hell of a week and I thought she deserved some privacy. 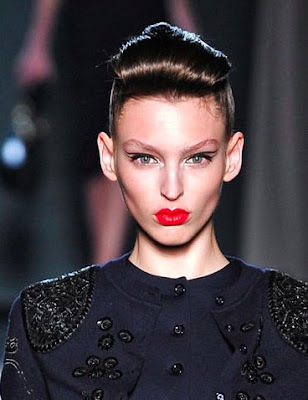 Erin O'Connor and Rachel both shared their love of Liz Earle Skincare and M.A.C lipsticks. My Mother and I have long since been Liz Earle fans and I am totally amazed how it still seems to be quite a well kept secret. When Nic wasn't checking out the male models she was hanging with her own boyfriend, Bradley. The Superdrug GOSH bus. It was a good idea but too dark and small inside to shop for make-up. The awesome Rimmel counter was constantly busy. 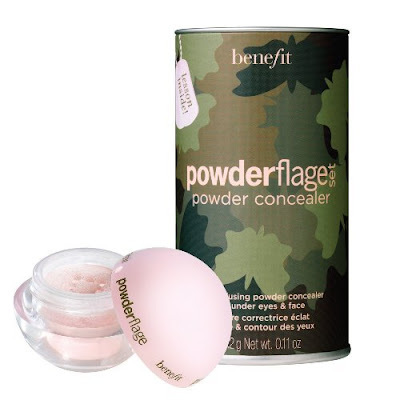 Other counters included Benefit, Never to busy to be beautiful, Sleek and Famous.